Jordan Klitzke ’10 didn’t take a break after graduation and sit around wondering what life holds for him. Instead, the Eden Prairie native moved from graduation in May to rehearsals in June for productions of Shakespeare’s Romeo & Juliet and A Midsummer Night’s Dream with Shakespeare and Company, followed by rehearsals for his Fringe Festival dance performances choreographed by Gustavus Adjunct Instructor in Dance Jeffrey Peterson at the Southern Theatre and, finally, on to an apprenticeship with the Minneapolis-based ARENA Dances and Choreographer Mathew Janczewski. At this point, Klitzke doesn’t have time to sit around and think about his future. His future is happening now. 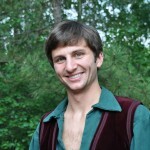 After appearing as Rosenkrantz the University of Lancaster’s 2009 production of Hamlet, Klitzke was cast as Romeo in Romeo and Juliet (George M. Roesler, director) and as Lysander in A Midsummer Night’s Dream (Jeffrey Altier, director) this season. 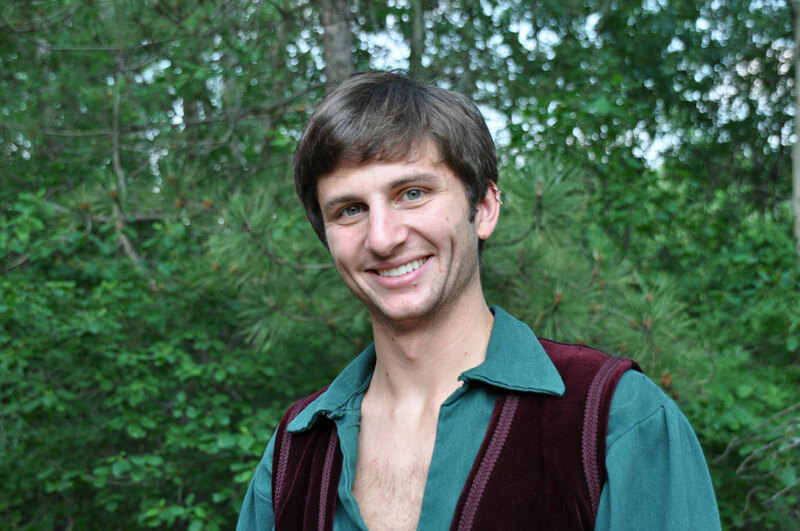 Shakespeare and Company’s 2010 summer season opened in the amphitheater at Century College (3300 Century Avenue N.) in White Bear Lake on June 26 and runs each weekend through August 1. Performances begin at 7:00 p.m. on Friday and Saturday and at 6:00 p.m. on Sunday. A complete schedule of the season, including Measure for Measure in which Klitzke is not performing, can be found at the Company’s website: www.shakespeareandcompany.org. In August, Jordan will switch artistic gears and begin rehearsals to dance in Choreographer Jeffrey Peterson’s ThinkingaView and CorresponDance with fellow Gustie grads Patrick Jeffrey ’10 and Sarah Jabar ’10. The dances are part of a larger dance concert to be performed at Minneapolis’ historic Southern Theatre (1420 Washington Avenue South). Details of the performance and a more complete schedule for all Fringe Festival events are available at the festival website: www.fringefestival.org. Following the 2010 Fringe Festival, Klitzke begins an apprenticeship with Choreographer Mathew Janczewski and ARENA Dances, a modern dance company formed in Minneapolis in 1995. ARENA Dances is recognized for the visceral and kinetic level of its dances — exhilarating, pure and athletic with a quality rooted in intelligence, thoughtfulness, and grace. The dancers seemingly flies through the space, with exuberant physicality, whipping their bodies into precarious positions, only to break into the far reaches of the room. Klitzke is eager to bring the experience he gained working with the Gustavus Dance Faculty, Rusinko, Rolnick, Peterson, Tierney and Gunness, to the ARENA Dances studios and see how it fits with the work of Choreographer Mathew Janczewski. What happens next? For now, there isn’t much time for Jordan to sit and think about the future. For him, the future is happening now. And it’s happening fast.